If your business is ever burglarized or vandalized, you’ll want to take immediate steps in the aftermath to try to rectify the situation. Along with notifying the police, your insurance, and any affected parties, it’s important that you remain proactive in other ways to prevent any additional safety problems that could affect you, your staff and your commercial property. 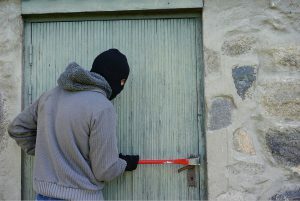 Here are some of the first things that you should do immediately after your business has suffered a break-in. Check to see how many items are still left in your inventory so that you can order replacements right away if anything was stolen. This can include products that you sell as well as certain pieces of office equipment, files, money, equipment, or anything else of value that might have been taken by thieves. Sometimes thieves will pass over some valuable items and go straight for any cash in the building, or go the other way around. Take the time to look around and make sure that everything is in its place, and alert the police of what is missing. If intruders caused any property destruction during the break-in, you’ll want to make sure that your utilities and equipment are still in working order. Damaged utilities and equipment could pose safety hazards if they malfunction. It’s especially crucial to test wires and other electrical equipment to prevent any electrical hazards. If you don’t know how to perform the proper tests, you can hire a professional inspector to come to your location quickly to check over everything. This is especially important when there appears to be nothing stolen, as it may turn out to be an act of sabotage by a disgruntled ex-employee or customer. Criminals may have been able to get into your building by breaking locks that were old, already damaged, or built inadequately to withstand a break-in. Savvy criminals may have also used a key that they made or a lock-picking device to open your locks. Smart locks have been developed to replace standard deadbolts and can make businesses like yours more secure. Getting locks with keypads or fingerprint or facial recognition technology will also make it more difficult for intruders to enter your building in the future. At the very least, it’s wise to contact a commercial locksmith to check for damage or signs of tampering with your current locks so that you are aware of how they got in. Antiquated security measures may have made your business easier to break into by criminals. The newest security alarms and cameras on the market can keep your commercial premises better protected. Many of the modern security items include features like motion sensors, infrared technology and remote programming with the use of an app. Some systems can also detect when windows are broken and send out quick alerts. Take this misfortune as an opportunity to learn and patch up the weaknesses in your building security. Following the right steps after your business has suffered a break-in can help you take control of the situation. Knowing the state of your security, locks, equipment, and other essential items will help you take the appropriate measures with your insurance and with your ongoing security measures. If you haven’t suffered a break-in yet, be proactive and use these steps as a guideline to prepare your building against any future breaches.